On February 27, Elon Musk’s SpaceX announced plans to fly two non-astronauts, or “private citizens,” on a loop around the moon. No one except Elon Musk and the two moon-explorers-to-be know who they are yet. SpaceX has stated only that the individuals approached the company asking to be flown around the moon (as opposed to the company recruiting them), that they’re not linked to Hollywood in any way, and that they’ll be paying SpaceX a large sum for the journey. Since Apollo 8, the first voyage to the moon in 1968, only 24 people have flown to the moon, and 12 have walked on its surface. They’ve all been American, and they’ve all been men. 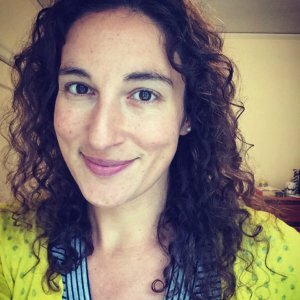 If either of the moon mission passengers are female, SpaceX will make history in more than one way. Interestingly—and terrifyingly—Musk said the mission will be completed on autopilot, without a trained astronaut or technician on board. The two passengers will be on their own. 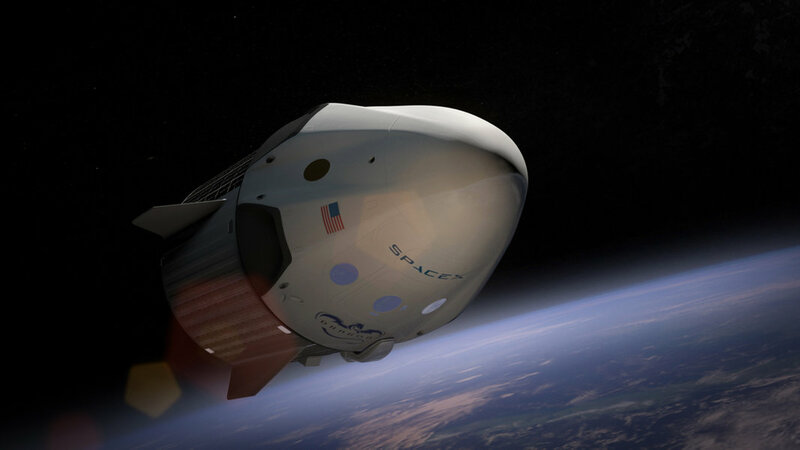 Passengers will ride in SpaceX’s Dragon 2 capsule, powered by its Falcon Heavy rocket. At 230 feet high, 40 feet wide, and more than five million pounds of thrust at liftoff, the company claims Falcon Heavy will be the most powerful operational rocket in the world by a factor of two. It’s important to note, though, that the rocket hasn’t been tested yet—that’s scheduled to happen this summer. Dragon 2 is similar to the Dragon capsule SpaceX currently uses to deliver cargo to and from the International Space Station (ISS). The mission will need a license from the Federal Aviation Administration. The Falcon Heavy will launch from the Kennedy Space Center near Cape Canaveral, Florida. More specifically, it will take off from launch pad 39A, which was used by the Apollo program for its lunar missions in the late 60s and early 70s. The flight’s estimated distance is 300,000-400,000 miles into space, which would put humans farther from Earth than ever before. SpaceX is aiming for the mission to take place as soon as late 2018. But this timeline is highly ambitious. As noted above, Falcon Heavy has yet to be tested. Anything short of a seamless performance would likely push the moon mission back by months, if not years. Similarly, the crew version of Dragon is scheduled to make its first voyage at the end of this year, in automatic mode and without any passengers on board. Pending success of that trip, a manned flight would travel to the ISS in the second quarter of 2018. Even if these tests are successful, it would seem more time would be needed to prepare both rocket and capsule for the much-longer moon orbit. Though exact figures haven’t been disclosed, Musk called the cost “comparable” to that of sending astronauts to the International Space Station. That number was recently estimated to be over $70 million per person, going up to $81 million by 2018. The cost went up dramatically after NASA retired its own fleet in 2011 and began contracting with private companies and the Russian space agency to send people and cargo to and from the ISS. In 2001, American multimillionaire Dennis Tito became the world’s first space tourist, booking a trip on a Russian Soyuz spacecraft to the ISS for an estimated price tag of $20 million. Since then, six more wealthy individuals have gone to space because, well, they wanted to, and they could. Besides being a high-profile test of its ability to get beyond Earth orbit, SpaceX’s moon mission could serve as a stepping stone for future Mars missions. 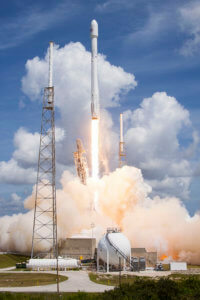 The unmanned Red Dragon Mars mission also plans to use a Falcon Heavy rocket and Dragon 2 capsule. There’s a lot of speculation that the SpaceX announcement will set off the first public/private space race, pitting private companies against NASA. 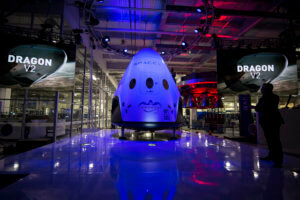 But SpaceX stated that NASA has encouraged private missions, as through them “long-term costs to the government decline and more flight reliability history is gained, benefiting both government and private missions.” NASA’s Commercial Crew Program funded Dragon 2’s development. However, NASA did announce that it will be looking to put non-astronauts on its Space Launch System rocket, and the associated crew capsule, Orion. If a public/private space race does ensue, NASA has decades of experience under its belt. But private companies like SpaceX have the advantage of less oversight, and manufacturing that’s not politically-driven. Space race or no space race, forget formerly exotic-seeming places like Bali or Fiji—it seems the moon is set to become mankind’s coveted tourist destination of the future.